Former President Mahinda Rajapaksa stated the government has hidden certain key factors that should be notified to the public through the 2018 budget proposals. Speaking to a gathering in Anuradhapura today (14), Mahinda Rajapaksa stated that the government should fulfill the promises that they made to the people prior to being elected as the ruling party. He further stated that the proposed new constitution should be amended thoroughly before being officially passed. Speaking on the 2018 budget, the former President stated that the general public will be able to reap the benefits of the budget proposals only after 18 years. He also mentioned that the prices of essential goods are at an all-time high and that local farmers have been completely neglected by the government. 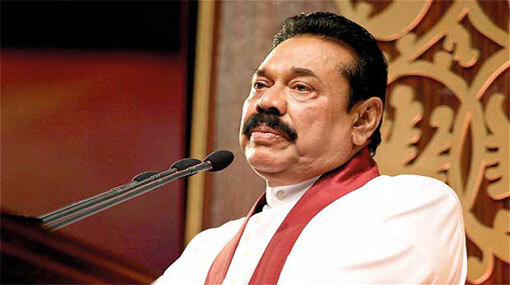 In his closing remarks Mahinda Rajapaksa stated that a sweeping crime wave has gripped the nation and that the law of the land has eroded completely.